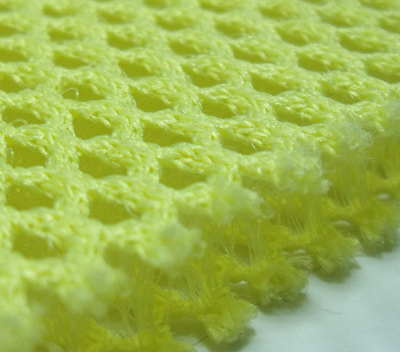 G established since 1990, we provide the best mesh fabrics. We are one of few companies in Taiwan. In addition, the company accepts the consignment from clients to design all kinds of knitting mesh fabrics products and provide the domestic and oversea manufacturers with high-quality materials. In order to welcome and pursue the new era of high-tech products in 21st century, G is getting underway an overall renewal project for production facilities in 2000. By offering a comprehensive mesh fabric product range we find our customers are very pleased to consolidate their orders to take advantage of the freight benefits. Our management philosophy focuses on pursuing of breakthrough and excellence, offering customers products with reliable and satisfying quality. We always insist a management viewpoint of ” Innovation on R&D, Top Quality, Satisfactory Customer and Everlasting Management” to gradually build up a perfect QC system, operation process and professional staff .